Treatment Philosophy | Wright and Feusier Orthodontics - Book Today! 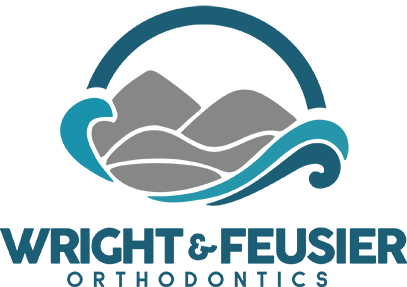 At Wright and Feusier Orthodontics, we specialize in both Orthodontics and in something called Dentofacial Orthopedics, which means we are concerned with how moving your teeth affects your facial appearance. There are many different methods of treatment that can improve the balance of the face, while improving the smile at the same time. Every face and every patient is different, and so should be the treatment. Dr. Wright and Dr. Feusier do not do “cookie-cutter” orthodontics. Their exam always begins with a comprehensive facial esthetics evaluation. They will then customize a plan based upon these findings and how they relate to your specific orthodontic concern. At the end of your orthodontic treatment, you will have not only a fantastic smile, but the best facial balance and profile possible. FOCUSED ORTHODONTICS means creating beautiful smiles and beautiful patients too! Up until about 20 years ago, when you got braces, you had better than a 50% chance of having teeth extracted in order to make space for all the rest to be straightened out. Although teeth were usually straight at the end, many times this resulted in less-than-ideal facial esthetics. This poor esthetic result was not necessarily because of extractions, but more specifically because of inappropriate extractions. In a few cases, extracting teeth for orthodontics can actually help the profile, as when lips are too far forward to begin with, or when a patient has difficulty closing their lips due to large prominent teeth. In most cases, however, orthodontics can be done without the need for any extractions at all. It may end up being a more technically difficult case, but by increasing the width of the dental arches and the smile instead of extracting teeth, facial balance and profile esthetics can be maintained or improved, while simultaneously creating a fantastic, broad smile. Because it is inherently better to keep teeth than to lose them, every effort should be made to reduce the need to extract teeth, so long as facial esthetics is not compromised. When is the Best Age to be Seen for an Orthodontic Consult? It used to be that dentists would recommend waiting to see an orthodontist until all the baby teeth fell out, around age 12 or 13. This practice, more than any other, was the reason so many teeth needed to be extracted for braces. Recent research has shown that if children are seen at an earlier age (7 to 11), growth may be modified and improved, which can reduce the need for extractions, help prevent jaw surgeries, stop harmful habits, prevent damage to protruding teeth, and improve the overall result of orthodontics. The American Association of Orthodontists now recommends that all children be seen by an orthodontist by age SEVEN. Not all children will need to have treatment at this young age, but those that do need early treatment will be much better off. But remember, it is never too late to improve your smile! Dr. Wright and Dr. Feusier treat patients of all ages. If you are at all concerned about the appearance of your teeth, or the fit of your bite, we are happy to see all patients, regardless of age. Orthodontics can make a huge difference in your appearance and confidence, no matter when you choose to come see us! Contact us in Santa Barbara, and Buellton, California, and let Dr. Wright and Dr. Feusier give you a beautiful, straight smile with modern orthodontic services.